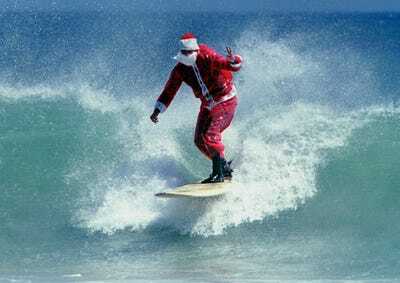 We all want the same thing from our gifts: to make someone else happy. Sometimes, though, it’s a tricky balance between making our families and friends happy and maxing out the credit card. 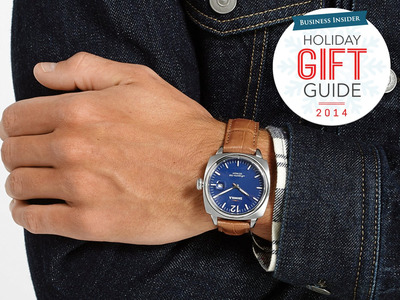 We found 50 gifts that are bound to please anyone on your list — and you never have to show them the price tag. In fact, you’d be amazed at what $US50 can buy. 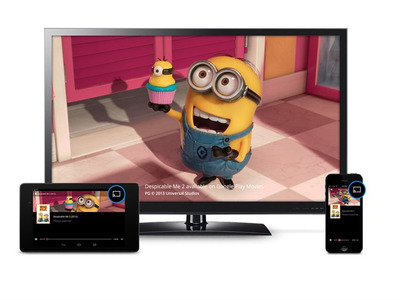 Stream TV straight from your phone with Chromecast. Cable TV is quickly becoming a thing of the past, but there's still something to be said for watching your favourite shows on a bigger screen than your phone or laptop. Google's Chromecast plugs straight into your TV and allows you to stream sites including Netflix, HBO Go, and YouTube right from your computer or phone to the big screen. Plus, until the end of 2014, a new Chromecast comes with two free months' subscription to Hulu Plus. 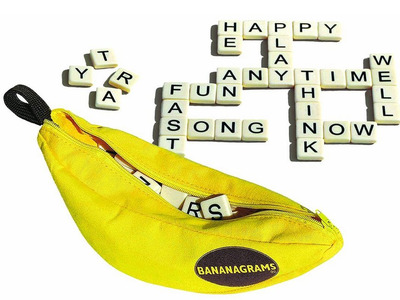 Do something different after dinner with Bananagrams. Anyone from your first-grade niece to your 80-year-old grandfather can join in on Bananagrams, the Scrabble-esque word game. It comes in a silly, easily portable pouch and doesn't require a board, so you can simply push plates aside at the dinner table and start playing. 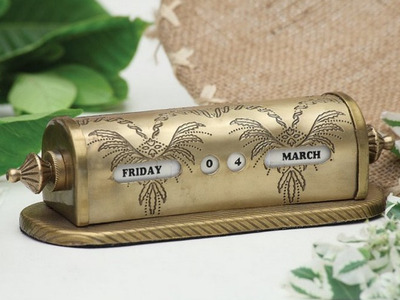 Keep things professional with a brass desk calendar. Whether for home or the office, this 7' brass desk calendar is just as decorative as it is practical. Aside from evoking appropriately Mad Men vibes, it will keep you from checking the date -- and getting distracted -- on your phone. 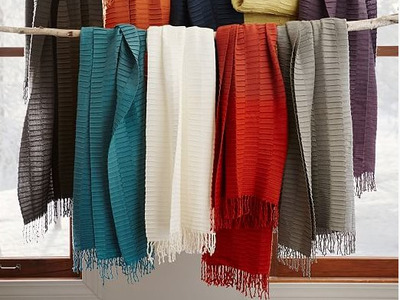 Bundle up with a cozy wool scarf. It isn't winter without a warm plaid scarf, and this neutral coloured option will match just about any sweater, coat, or vest you break out in the cold. 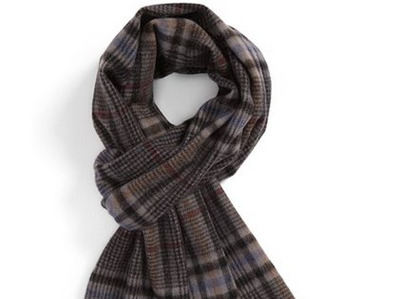 If you want to spend a little less on neck warming, we recommend the $US25 blackwatch plaid or tartan knit scarves. Keep credit card scammers at bay with the ID Stronghold Wallet. It's disturbing to think how simple it is for thieves to walk off with our credit and debit card information without them ever leaving our wallets. 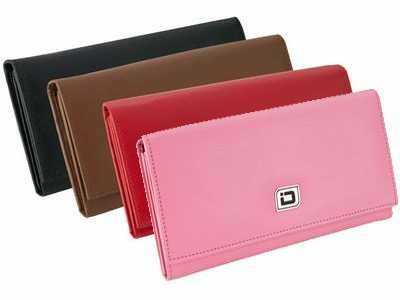 They use tools called RFID scanners, which anyone can pick up on Ebay, that scan credit cards through purses, wallets. and store them without the card's owner ever realising it. Unless your credit card is equipped with an encrypted EMV chip (they can't be scanned by these tools), then a specialty wallet made to block RFID scanners is an excellent idea. Keep warm just about anywhere with this bomber hat. For most of us, the temperature is dropping. 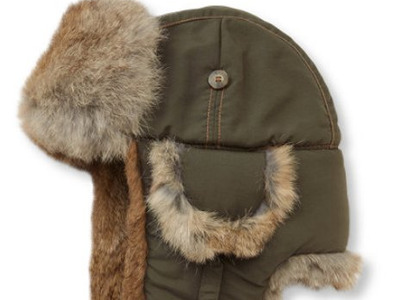 Anyone with cold ears -- and a sense of humour -- will appreciate this 'mad bomber hat,' which also comes in red and black. 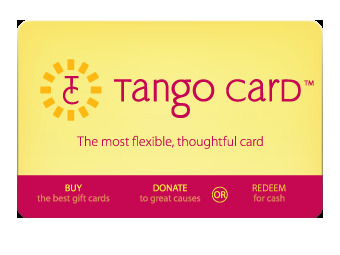 The Tango Card is a gift card people actually want to use. Americans waste billions of dollars on unused gift cards every year, and it's about time we stopped the cycle. Tango Cards are great because they're entirely digital. Once gifted, the user can use the 'card' at any participating partners, redeem for cash, or donate the balance to charity. Tango's partners include Amazon, Nike, REI, Gap, Pottery Barn, Fandango, iTunes, Groupon, Rixty, Target, Home Depot, Zappos, SpaFinder, and Starbucks. Price: Starting from $US5 increments. Keep your toes cozy with slipper socks. If the now-classic Snuggie taught us anything, it's that those of us living in cold climates value warmth over just about anything else. 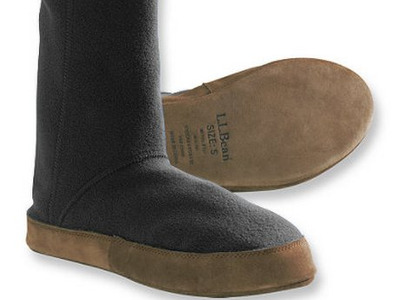 Get warm down to your toes with these unisex fleece slipper socks. Pave a path to college by opening or contributing to a 529 plan. $US50 would barely put a dent in the cost of college degrees today, but it's a start. Anyone in the country can open a state-sponsored college savings account, called a '529 plan,' in another's name -- from your niece or nephew to your best friend's kid. There's no limit to how many plans you can open or who can contribute to them. 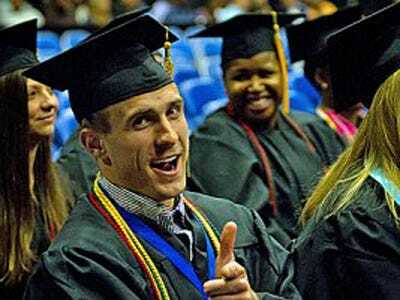 Here's a great guide to getting started with a 529 plan. Also, the College Savings Plans Network (CSPN) is an excellent resource. Save all your hand-written notes digitally with the Evernote Moleskine Notebook. We're already huge fans of Evernote, an app that lets users sync all of their notes, web clips, files, and images across their devices. 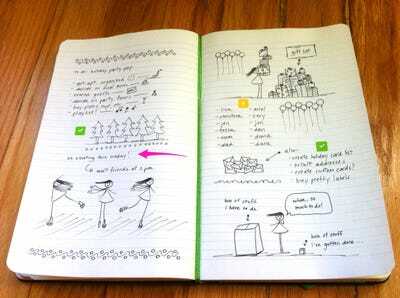 Now Evernote has teamed up with Moleskine to create the Evernote Smart Notebook. It's designed to work with any iPad or iPhone to instantly save written notes digitally by snapping a photo. The hardbound notebook comes in ruled or squared page designs, and pocket-size ($US24.94) or large ($US29.95). Snuggle up anywhere with the perfect throw. Available in ten different colours, this lightweight throw can go from the couch to the car to ice-skating and back. Toss it on the end of the bed, build a fort for the younger (or younger at heart) family members, and keep it close on movie night. Text without getting frostbite with the North Face eTip Glove. 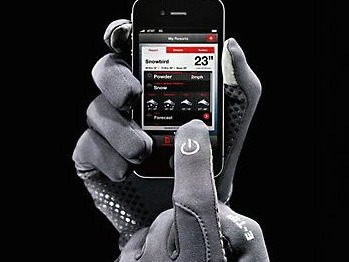 Even a snowstorm couldn't slow texters down with these touch screen gloves from The North Face. They're super stylish, durable, and come in different colours for men and women. 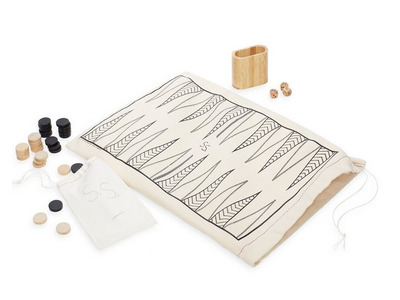 Be entertained everywhere with roll-up backgammon and checkers. Whether travelling by plane, train, or automobile, all this light, portable backgammon and checkers set requires is a partner. Here's the perfect gift for road warriors in your family: a guaranteed way to breeze through airport security. 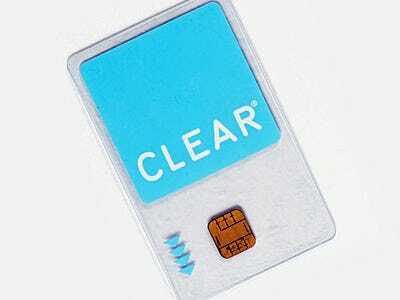 CLEAR is an identity verification service that lets members present a special ID card at airports to bypass security. You can give a six-month membership as a gift (about $US13/month). There's no charge for children flying with you or anyone under the age of 18. The service is only available in a handful of major airports, but we're told it's continuing to expand. Keep your phone alive with an external phone charger. There's nothing like a dead phone battery when there isn't an outlet in sight. 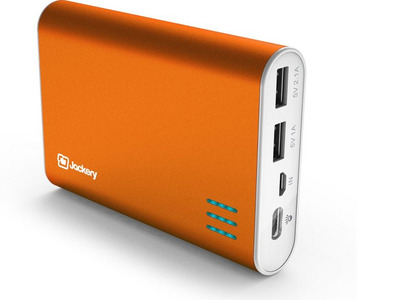 Keep your traveller prepared for anything with this portable charger for iPhones, Androids, and tablets. Bestow a title by buying land on a Scottish estate. 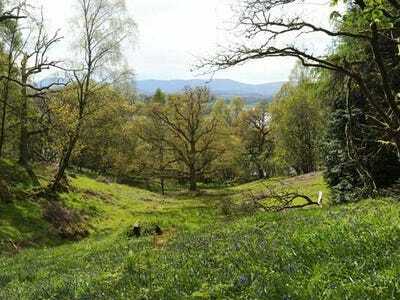 As a means of preserving drastically reduced forest land in Scotland, Highland Titles came up with a pretty brilliant idea: Let consumers purchase their own plots of land. Plots start at $US49.99 and go up depending on size. But every purchase comes with the coolest perk of all: The legal title of 'Lord' or 'Lady' in the country. Sales help fund woodland rescue, maintenance, and new land acquisition to save it from development. Keep chargers organised on the road with the utility charge tool. The modern traveller hits the road with a tangle of chargers. 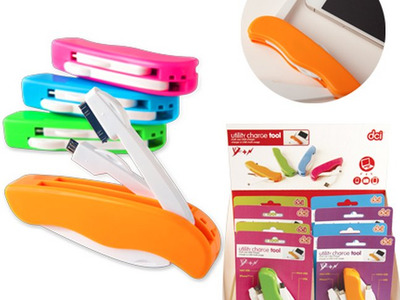 In four bright colours, it will be easy to find in any bag. 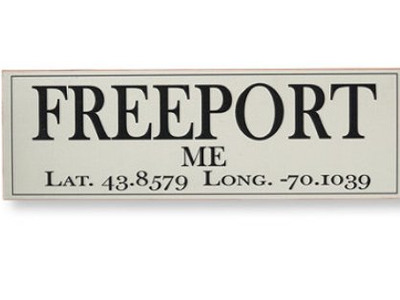 Display hometown pride with this customised latitude/longitude sign. Available in white, khaki, navy, and red, this 5'x 16' sign can be customised to show the name, latitude, and longitude of your hometown, vacation home, or favourite place to visit. Work out wherever you are with the FitKit. It can be hard (and expensive) to get to the gym. Instead, make a gym for yourself at home with a few basic tools. FitKit is a completely portable at-home gym kit. 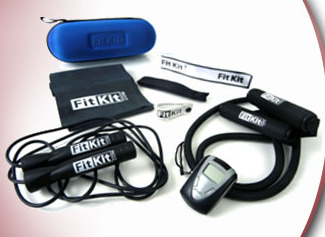 For less than $US35, the basic kit includes an exercise band, a resistance tube, a jump rope and a stability attachment. But you can customise your kit online. 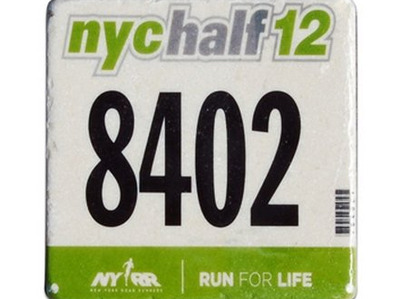 Preserve race memories with custom-made bib coasters. Any marathoner is bound to be proud of their last race. Keep those warm fuzzies coming by sending a picture or colour copy of their last bib in to Gone for a Run, which will reproduce it on a stone coaster for the perfect conversation starter. 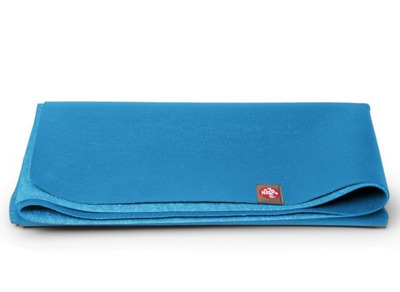 Help yogis strike a pose anywhere with the SuperLite Travel Mat. The eKo SuperLite Travel mat is excellent for anyone who's constantly zipping back and forth for work. It clocks in at two pounds and is super thin, so it will fit in a bag with your sneakers. 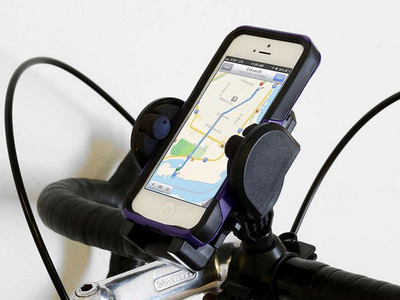 Stay on course with a mobile phone bike mount. Don't let your favourite cyclist get lost on the way to the gym (or miss one of your texts). This adjustable mobile phone bike mount allows for different phones at different angles, to make it easier for riders to keep their eyes on the road. 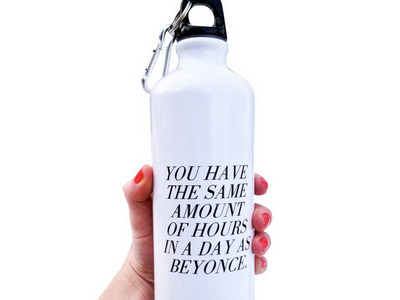 Nip excuses in the bud with a little water-bottle wisdom. What more motivation do you need? Keep runners warm and entertained with a hat that has removable headphones. Forget messing with headphones and headbands. 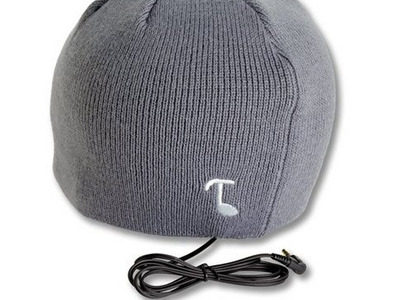 This beanie has removable headphones that won't slip as you run, but will keep you warm along the way. Work out and keep the place neat with the punch bag. 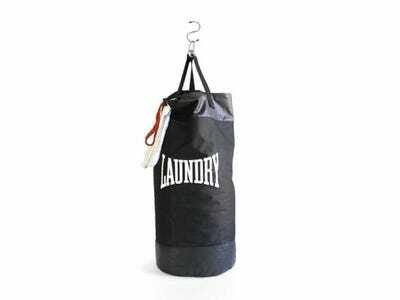 It's hard to justify having a punching bag in your home -- unless it's also your well-disguised laundry bag. Feed anyone who drops by with a popcorn popper. Popcorn is a cheap, easy, and extremely fun snack to have on hand for a party, a dinner, impromptu guests, or a quiet Netflix night at home. 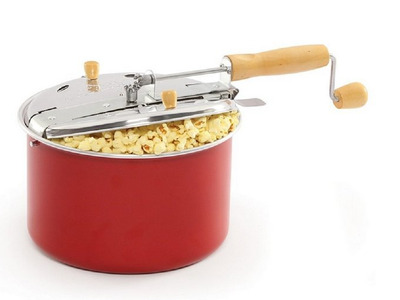 With this bright red stovetop popper, you'll always have snacks popping in the background. Mix holiday cocktails in style with the Epicureanist Automatic Cocktail Mixer. It doesn't take a mathematical genius to figure out how wildly overpriced restaurant cocktails have become. Mixing drinks at home is a cinch with the right cocktail mixer. 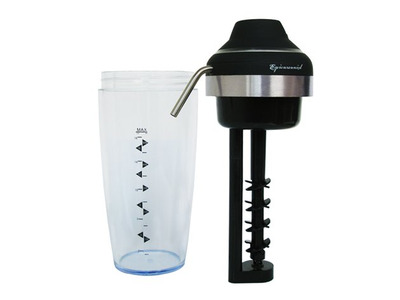 We love this one from Epicureanist, which mixes and dispenses drinks with a touch of a button, and marks exact measurements for perfect pours. Scandalize Grandma with Cards Against Humanity. If your favourite host hasn't already put guests on the spot with Cards Against Humanity, they're long overdue for a set. This boundary-testing game bills itself as 'a party game for terrible people,' and if you're so inclined, you can actually make your own set for free through the game's website. 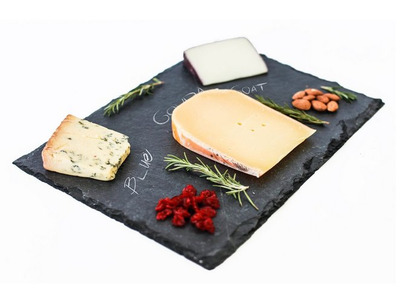 Make appetizers elegant with a slate cheese board. Everyone loves cheese, and a simple slate cheese board can branch out from dairy to serve just about any appetizer. It comes with a piece of chalk to label your brie and convince guests of your latent artistic genius. Make background music effortless with a mini Bluetooth speaker. 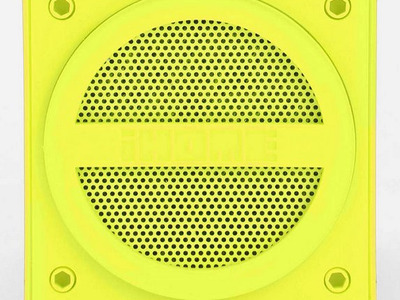 This Bluetooth speaker streams music from an iPhone, Android, or Blackberry to keep up a steady stream of festive tunes. Plus, it's less than 3' square, so you can hide it anywhere from the bookshelf to the centrepiece of your holiday table for mysteriously convenient ambiance. Keep wine chilled for hours with the Corkcicle. 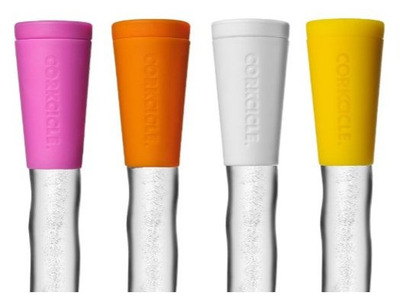 The Corkcicle is great because it does away with the need for leaky tubs of ice at holiday parties. It looks like a regular cork stopper, but when inserted in bottles, the frozen icicle-shaped wand keeps wine chilled for hours. Challenge friends to a game of Catchphrase. 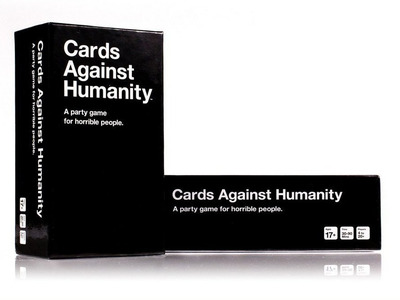 In case you don't want to break out Cards Against Humanity with relatives you see once a year, here's a game that's perfect for everyone to play during the holidays. 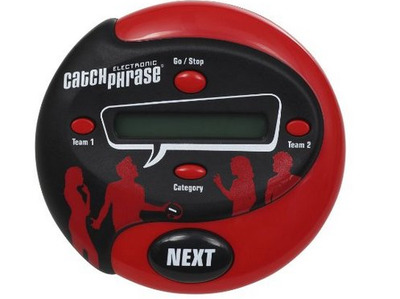 Catchphrase is part charades, part hot potato and way more fun than both. Drop your Starbucks habit and pick up a coffee press. A good cup of coffee can get even the most comfortable guest out of bed (and revive the most gracious host). 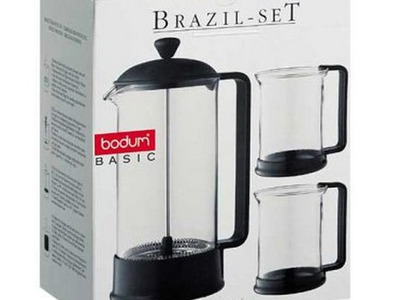 The Bodum Brazil gift set includes an 8-cup glass press as well as two lightweight coffee cups for caffeine addicts on the go. 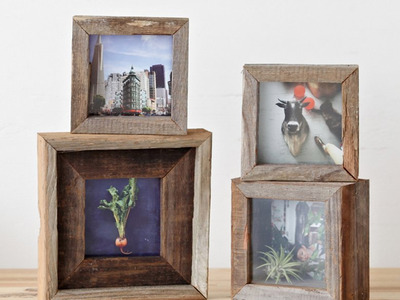 Bring Instagrams to life with photo prints. Any Instagrammer knows that one of the biggest drawbacks to those perfectly filtered photos is that they disappear when you turn off your phone or computer. Keep favourite photos around with prints from Social Print Studio, which surround the pictures with reclaimed wood frames. 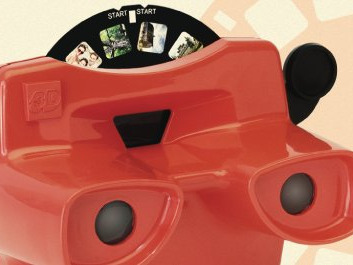 Show off your photos in 3-D with the Image 3-D View-Master. Kick back and enjoy photos like it's 1989. Image 3-D is making customisable View-Masters online. Each set costs $US24.95 and comes with a reel of your photos, a viewer (in red, black, blue or white), and a gift box. Make hot chocolate more fun with Boomf marshmallows. 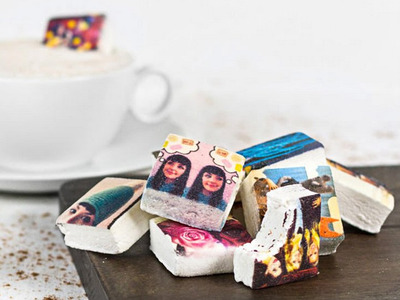 Boomf prints your Instagram, Facebook, or uploaded images on 1.5-inch square marshmallows. Get creative by printing holiday themed pictures, patterns, or even letters to spell out a message on the nine treats included in the box. Yes, it's silly -- but they definitely won't gather dust. 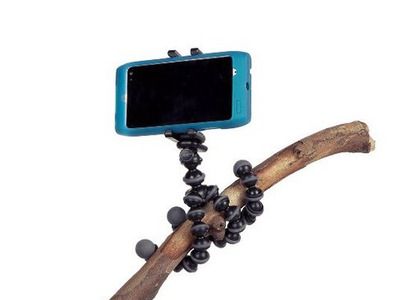 Take your photos up a notch with the GripTight GorillaPod Stand. iPhone cameras get better with each upgrade, but it's human error that's sometimes impossible to correct. The GripTight GorillaPod Stand is a great tool for anyone with shaky hands who wants to take a clearer, cleaner photo with their phone. Its adjustable grip holds any phone, while flexible legs hold your phone steady on nearly any surface or wrap around available anchors like tree branches or poles. 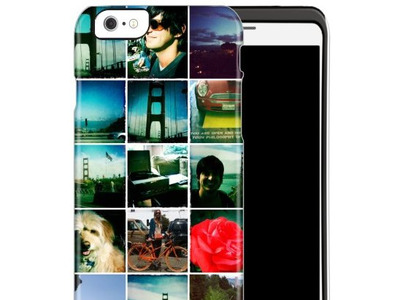 Carry favourite memories with a custom printed phone case. There are endless phone case options, but the only way to get one unique to you is to create your own. 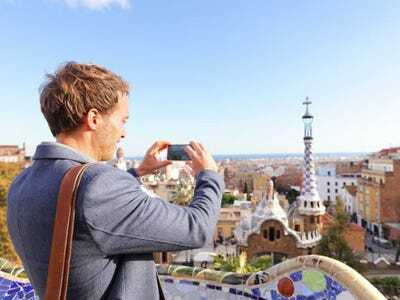 And how better to do that than with your favourite shots from Instagram? Put together a grid like the one in the picture, or print fewer, bigger photos in different patterns. 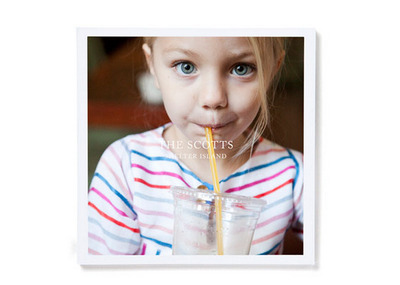 Keep memories on the coffee table with a photo book. These Pinhole Press photo books are particularly appropriate gifts for new parents, grandparents, or high school or college grads. Use the 65 pages to share photos of favourite family memories, awesome vacation snapshots, or major accomplishments. 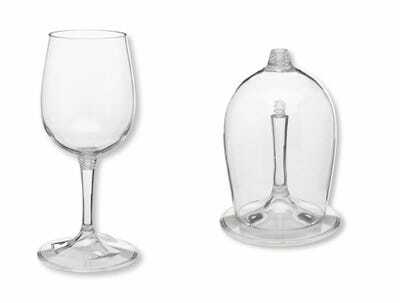 Take refreshments on the road with the nesting wine glass. This plastic wine 'glass' is meant for campers, so you know it's indestructible enough to bring just about anywhere, whether to a tailgate, a backyard barbecue, or a bonfire on a snowy night. 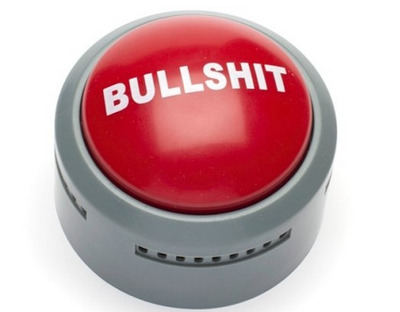 Make your coworkers laugh with the official BS button. Create a running punchline in your office with the official BS button, which will no doubt keep coworkers endlessly entertained during your next happy hour or afternoon coffee break. 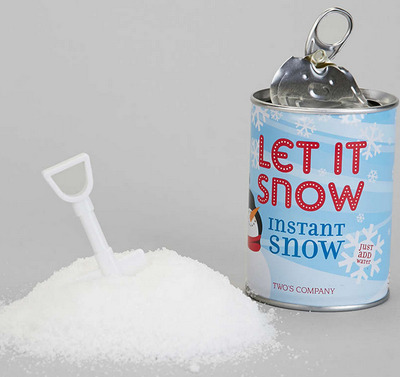 Let it snow on cue with snow in a can. There's no guarantee it will snow for the holidays -- unless you make that snow yourself. Bring real winter to coworker with snow in a can, which turns into a tiny snowdrift when you add water. A miniature shovel is included. 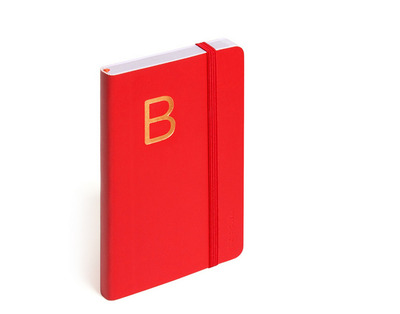 Cross things off your to-do list with an initialed mini notebook. Whether scribbling phone messages, taking notes during a meeting, or plowing through a to-do list, everyone needs a notebook. With your coworker's initial on the front, it will always find its way back. Available in colours including red, black, white, blue, and pink. 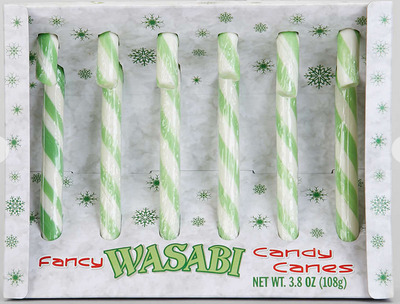 Perk up the afternoon with wasabi candy canes. Classic peppermint canes are nice, but honestly: Does anyone actually eat those? Provide treats for the braver palate with these wasabi candy canes, which come in a pack of six for sharing -- or daring. Help preserve the Earth by planting 50 trees. 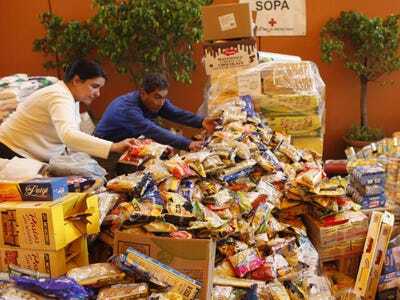 Oxfam America facilitates charitable donations that give money to all kinds of worthy causes: education, equality, clean water, and environmental preservation, to name a few. 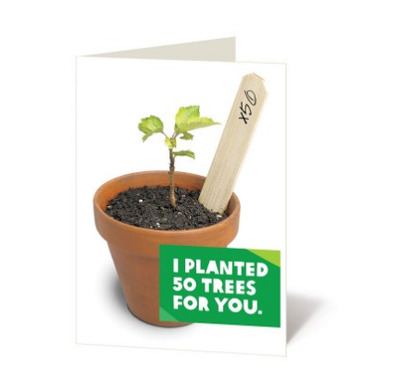 If your recipient would rather make an impact than unwrap a gift, start their own little patch of woodland. Keep organised while supporting a good cause with this utility case. 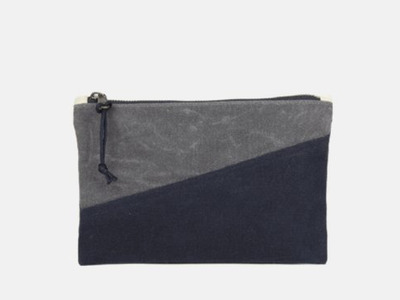 A portion of the proceeds from the beautiful bags, backpacks, and iPad cases created by Stone and Cloth goes to The Knock Foundation, a nonprofit near Mount Kilimanjaro in Tanzania that helps fund scholarships and community development projects. Aside from fitting phones, wallets, and sunglasses, the money from this utility case (which also comes in red, as well as grey stripes) helps provide money for scholarships. Decorate for the holidays (or any days) with stackable trays made in Guatemala. 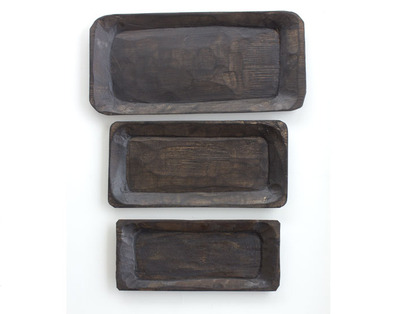 These pinewood trays are made by a family carpentry shop in Guatemala and sold by The Noonday Collection, a for-profit company that partners with artisans in the developing world, makes them no-interest loans, and pays them in advance for their wares. Rep your city while making needy residents more comfortable by wearing Skyline Socks. 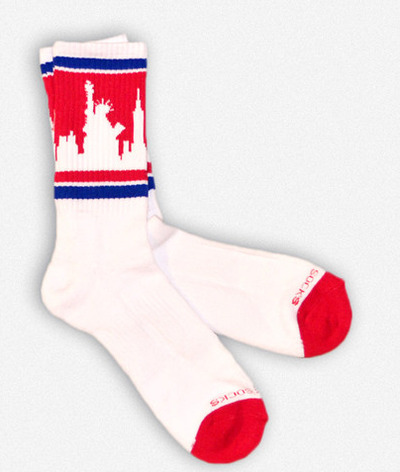 Showcasing American skylines including New York, Chicago, Seattle, and Washington DC, Skyline Socks donates a pair to a local resident in need for each pair purchased.